Super Eagles technical adviser, Genort Rohr says he’s of confidence the team has every chance to qualify for the 2018 FIFA World Cup in Russia. Nigeria have been pitted with Algeria, Cameroon, and Zambia in the qualifying series having failed to qualify for the 2017 Africa Cup of Nations. The team’s opening match is slated for October against Zambia in Lusaka and it is important for the Super Eagles to begin their campaign on a positive note. With a task ahead of the team, Rohr, who was appointed on August by the Nigeria Football Federation told Cafonline.com that he’s convinced the team won’t feel intimated despite been in a tough group. “All the four teams in this group have equal chances of going to the 2018 World Cup in Russia. You have a big team in Algeria, ranked Number One in Africa at the moment. Everybody knows Algeria has great players, so it is going to be a big challenge in this group. 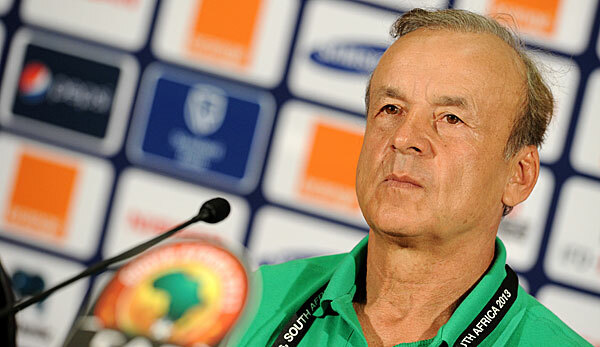 It is good we are going to Zambia first and don’t forget that Zambia is a big team too because they won the AFCON in Gabon in 2012,” Rohr said. “They have a big tradition as well. The group is open but I think the motivation of the Nigerian team is very, very high. All the teams in our group want to be at the World Cup in Russia but we have a bigger motivation particularly with the good performance of the Nigeria at the recent Olympic Games in Rio. We don’t have much time honestly, but it is possible to build a very good team.” he said.